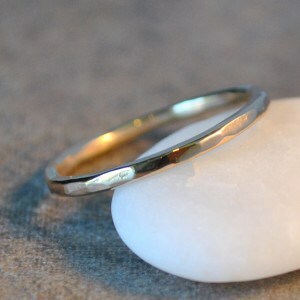 A simple handmade 14k solid yellow gold band, gently faceted to catch the light. Makes the perfect classic wedding band. So comfortable, you’ll forget you’re even wearing it. Fabricated from recycled metals, so this ring is also eco-friendly. 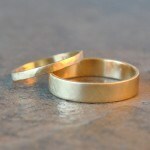 The caitlin ring is a simple and elegant 14k yellow gold modern wedding band. Handmade from 14k solid yellow gold. This ring has a glowing brushed satin finish, beautiful and modern – my most popular finish. A shiny polished finish is also available, please let me know your preference at checkout. Available in other golds as well – white or rose. 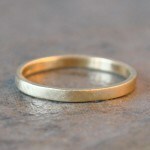 As always, all of my wedding bands are made with recycled metals, so this ring is an eco-friendly piece. 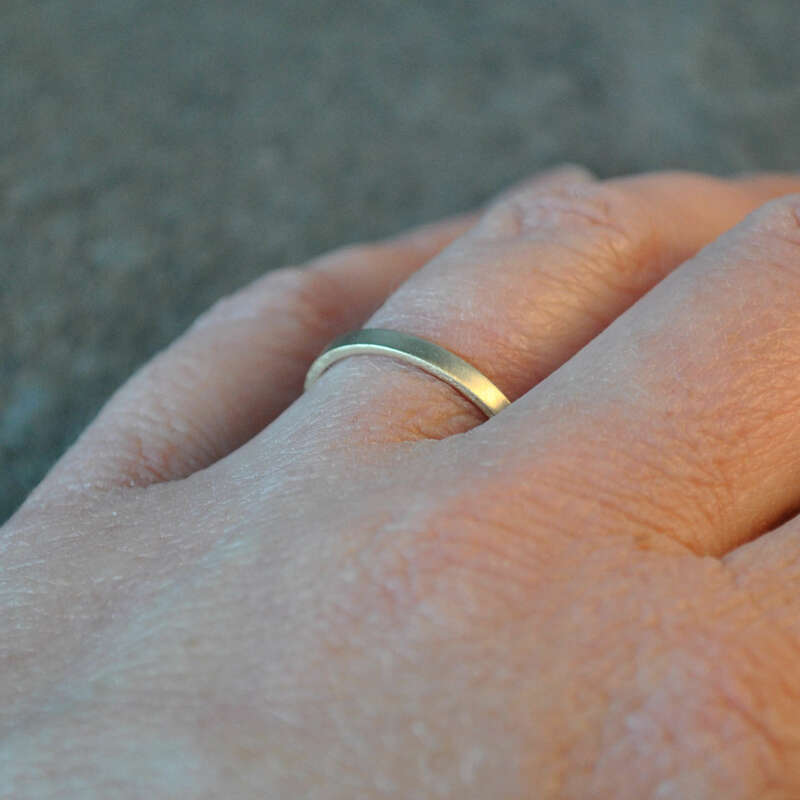 The caitlin ring measures 2mm wide x 1mm thick. Available in sizes 3.5-10, including half and quarter sizes. Larger sizes are available for an additional $25. 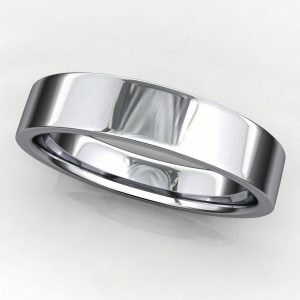 A classic band in 14k white gold, but with a modern twist – an organic brushed satin Men’s wedding band. A hand applied brushed satin finish makes it perfect. 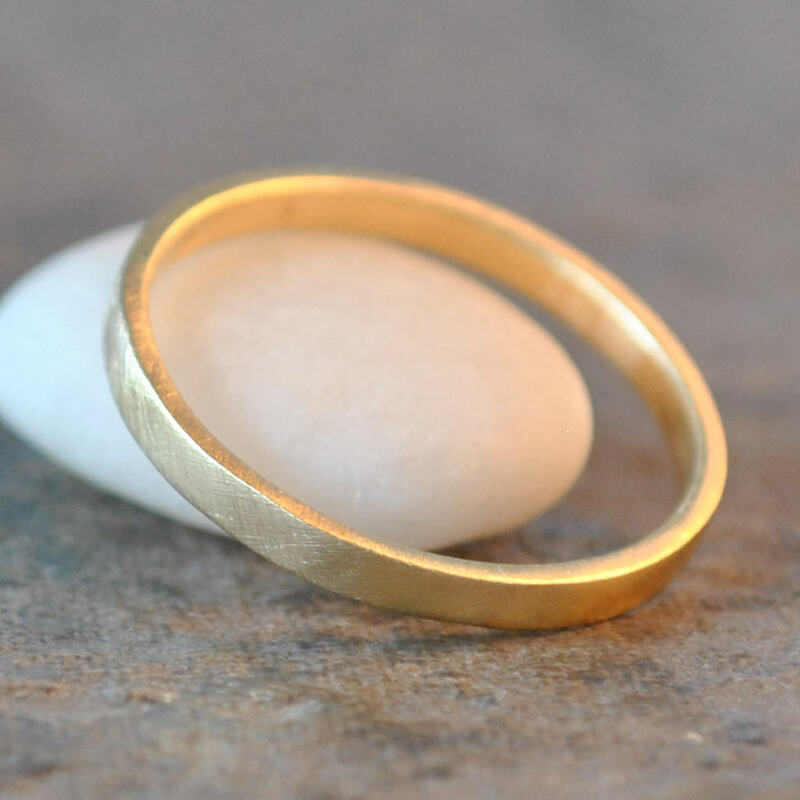 Seraphine is a beautifully simple ring in 14k rose gold. Hammered to catch the light, then polished like mad for a gorgeous high shine. Makes the perfect wedding band, stacking ring or thumb ring. 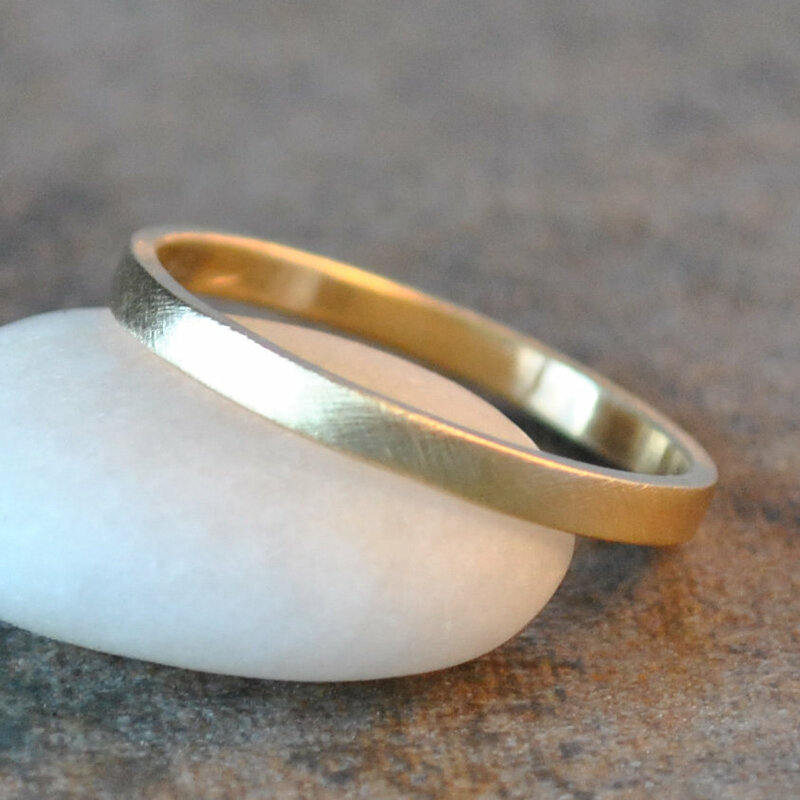 A simple handmade 14k solid yellow gold band, gently faceted to catch the light. 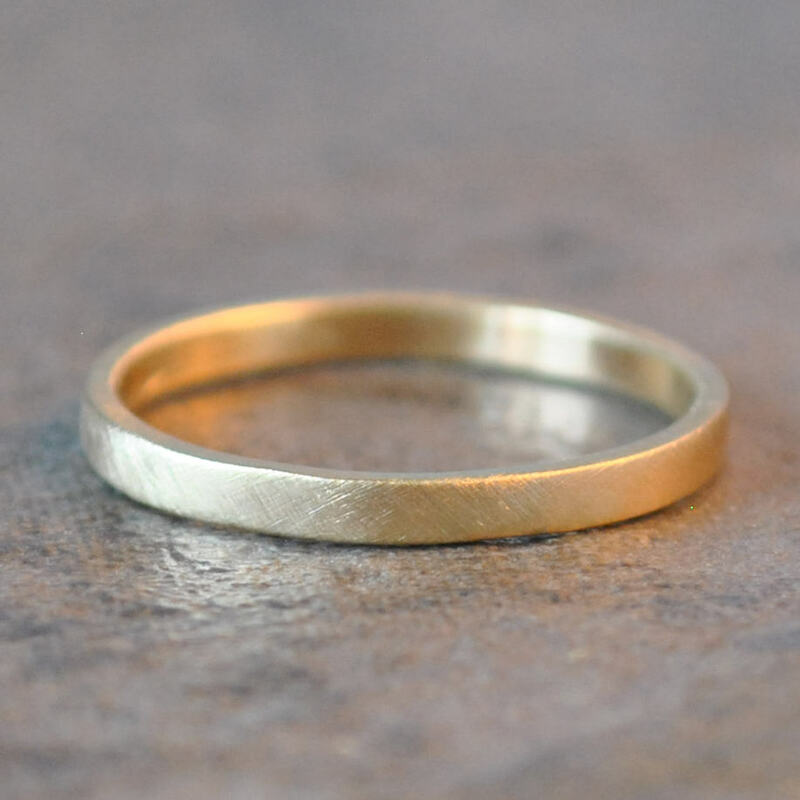 Makes the perfect classic wedding band. So comfortable, you'll forget you're even wearing it. 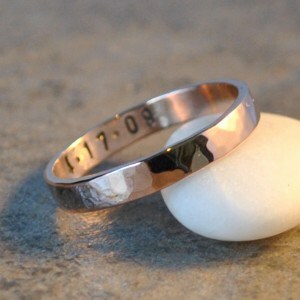 Fabricated from recycled metals, so this ring is also eco-friendly. 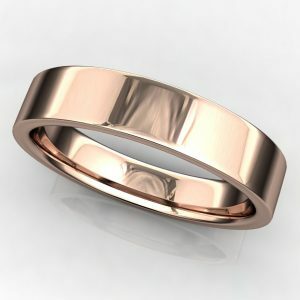 A classic band in 14k rose gold, but with a modern twist – an organic brushed satin Men’s wedding band. A hand applied brushed satin finish makes it perfect. A crazy beautiful 2 carat round NEO moissanite engagement ring and wedding band set. 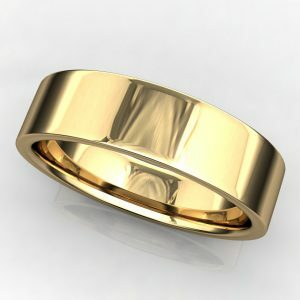 A classic band in 14k yellow gold, but with a modern twist – an organic brushed satin Men’s wedding band. A hand applied brushed satin finish makes it perfect.